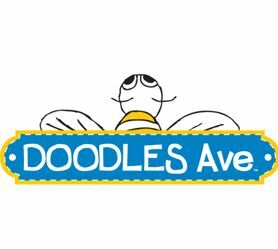 Doodles AveTM is a successful line of unique, educational, activity coloring books. It is through our activity books, that we foster scholastic exploration. We understand the importance of coloring in childhood development. Offering kinesthetic and visual learners an outlet for self-expression as well as strengthening grip/control, coordination, motor skills, and color recognition, Doodles coloring books are sure to enrich the lives of your pint-size customers one page at a time.